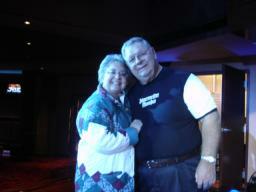 Fred is pictured with his friend, Patty, after FPB's gig on November 10, 2007 at Vapor at Saratoga Gaming & Raceway wrapped up. 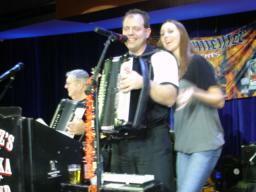 As Fred plays on and Fritz plays and sings Margaritaville, Kimberly dances on-stage, next to Fritz, during FPB's second set on November 10th. Rick and Gabe tear through a tune on November 10th at Vapor in Saratoga Springs, NY. 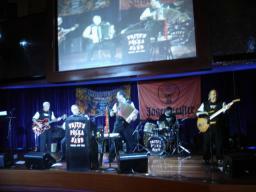 FPB rips through a tune, as their image is displayed above them on the big screen at Vapor on November 10, 2007. 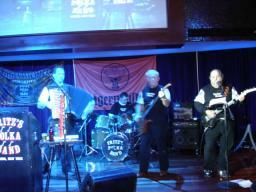 Fritz, Rick, Tom, and Gabe are pictured here during FPB's second set on November 10th at Vapor at Saratoga Gaming & Raceway. 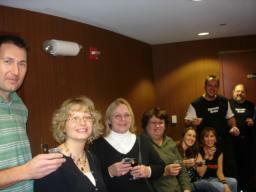 Fritz and Gabe toast some Jagermeister Punch with their friends (L-R), Kimberly, Linda, Sal, and Camille, on November 10, 2007 in Saratoga Springs, NY. 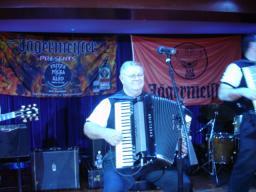 Is that Tom reciting to himself the "This little piggy went to market" rhyme on November 10th in Saratoga Springs, NY? 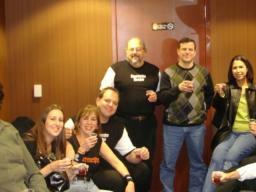 Hmmm.... Fritz and Gabe toast some Jagermeister Punch with their friends, Mark, Melissa, Judy, Fran, Kimberly and Linda, on November 10th in Saratoga Springs, NY. 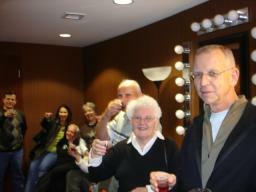 Tom is surrounded by friends that love Jagermeister, (L-R), Sal, Camille, Patty, Ron, Jane, and Dave, during intermission at FPB's gig at Vapor on November 10th. 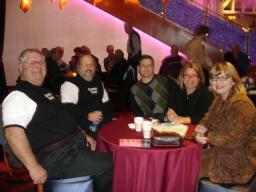 During intermission at FPB's gig on November 10, 2007, Fred and Gabe are pictured here with Gabe's friend, Sal, along with Sal's wife, Bev, and Gabe's wife, Nancy (Fred's daughter). 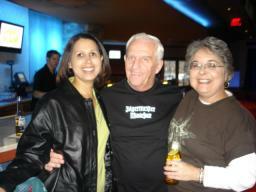 Tom is pictured here with two lovely ladies, Camille (L) and Patty (R), during FPB's gig at Vapor at Saratoga Gaming & Raceway on November 10th. 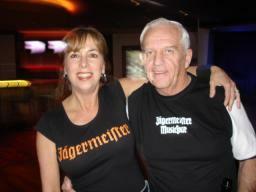 Tom compares Jagermeister shirts with his Jager friend, Linda, during FPB's gig on November 10th in Saratoga Springs, NY. 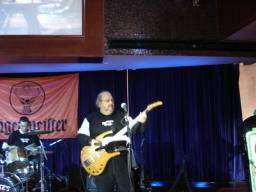 Fred with his Excelsior on November 10, 2007 at Vapor at Saratoga Gaming & Raceway. 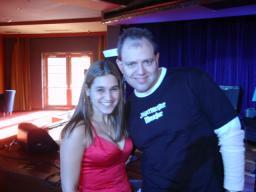 Fritz is pictured here with the lovely, Kristin, prior to FPB's first set on November 10, 2007 in Saratoga Springs, NY.